Evangelist Franklin Graham took note of and made an exception to Dr. Scott G. Bruce’s idea that mankind has outgrown the concept of hell. Bruce is a professor of history at Fordham University ran a piece in the Wall Street Journal stating that Hell is just too cruel to be believable. Evangelist Graham made it perfectly clear what Jesus has to say on the subject. Do you support Mr. Graham’s view? A recent article in the conservative Wall Street Journal titled “Do We Still Need to Believe in Hell?” has raised questions about the issue of eternal punishment in the afterlife. Dr. Scott G. Bruce, professor of history at Fordham University, argues in the piece that “Hell is a cruel and oppressive concept” that has lost its power on mankind thanks to new scientific theories like Darwinism. The professor believes humanity should rid itself of the concept of Hell. “In some distant, better future, the foreclosure of Hell will be an important step in the maturation of human communities that can mete out justice on their own, without supernatural aid,” he writes. The article caught the attention of evangelist Franklin Graham who says Hell isn’t a concept but a “reality.” He says it’s important not to doubt it because it’s the reason Jesus died on a cross to save us from our sins. “Jesus spoke about it a great deal. The Bible describes it as a ‘blazing furnace, where there will be weeping and gnashing of teeth.’ It will not change with the maturing of human culture, or anything else we might dream up. 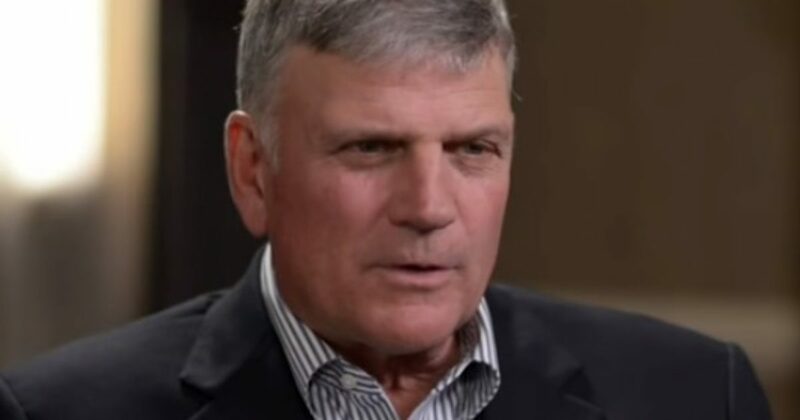 Hell is a very real place that will be the eternal destination of souls who reject the forgiveness and salvation that a loving God offers us through His Son, Jesus Christ,” Graham writes in a Facebook post. “Heaven is also a real place, prepared for those who put their faith and trust in Christ. Now is the time when we choose our eternal destiny—the Bible tells us ‘…now is the…..